Website Updates When You Need Them… Not When Your Web Guy Feels Like It. Same Day Website Maintenance – Guaranteed! We realize that having a reliable web development partner can be an enormous asset. Because of this, Manna Design Works has developed a comprehensive, on-call support system called Total Client Care™ to ensure our clients will have what ever support they need, when they need it. It doesn’t matter if we did the original website design or not, we can maintain all sites. Total Client Care™ Starts with our view on the importance of a well maintained website. It also includes the features and programs we make available to our clients. Below are the details on how we make it happen. Is Web Maintenance A Priority For Your Web Guy? Maintaining websites is one of the most important things we do. We have: Same Day Turn Around, Emergency Service, After Hours Web Updates & Pre-Scheduled Updates Considerable time, money and effort can go into creating a powerful online presence. It takes very little to waste all of that–just don’t maintain it. Stale information or even worse, outdated and incorrect information is the quickest way to losing visitors and sales. To combat this, the maintenance of existing sites holds the highest daily priority at Manna. We also have custom systems in place to ensure your web site is always updated and current – most often with same day service. This system utilizes ZenDesk, a leading online support system, to organize, track and manage support requests. If you need assistance with Website Changes, Email Issues, Passwords, Use of Our Software, etc., email [email protected] and those requests will be automatically logged into the system and a ticket created. After a set period of time, if the ticket has not been addressed by a team member, our management team is alerted. You also have the ability of logging in to manage all of your support requests. As a client of Manna Design Works, you will be given the private cell phone number of the company’s owner. If you need emergency service and you’re a new client, we can still help. Call our Main Number (856-881-7650 or 887-MANNA-01) and select option #3. This is our after hours support number for all types of website updates and website maintenance issues. Our on-call web developer will be notified of your call and get back to you as quickly as possible. When you invest in a professionally designed, custom website, you’ll want to make sure it’s well maintained. Few things can detract from a professional web presence more than stale or outdated information. No longer is it enough just to have a website, visitors now expect relevant and timely information. 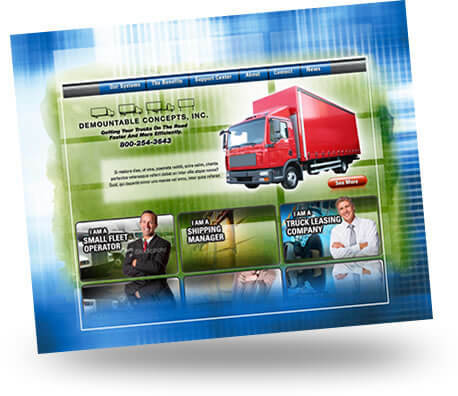 Additionally, an active, current site portrays an active, vibrant company. Manna can help maintain your investment with a support option to fit every site. We offer monthly maintenance plans, blocks of support hours, pre-scheduled web site maintenance, and of course, hourly support. Our website maintenance plans are offered at discounted rates to protect and enhance your initial website investment.